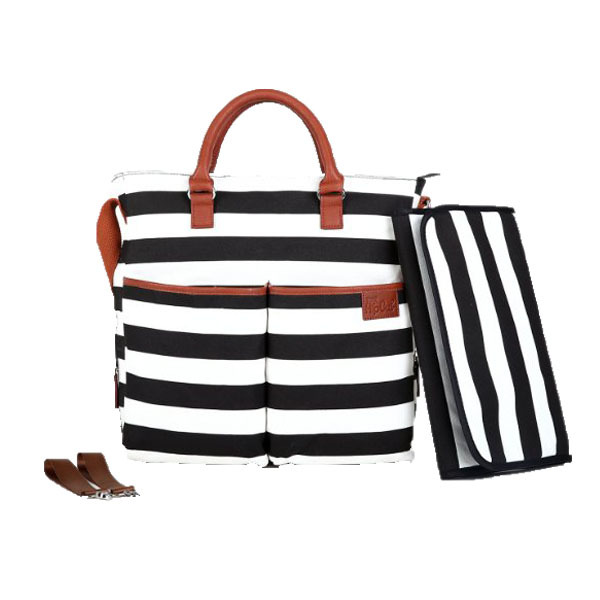 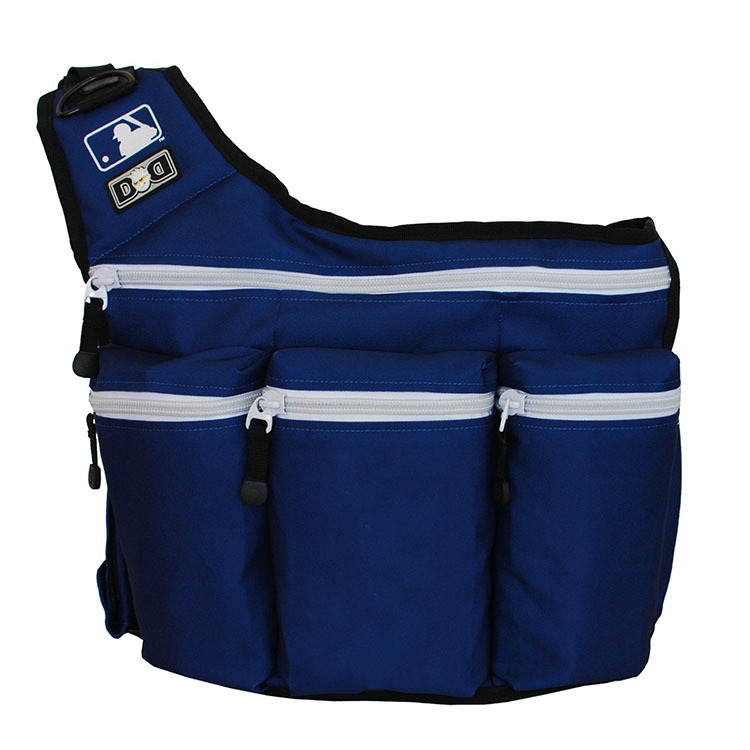 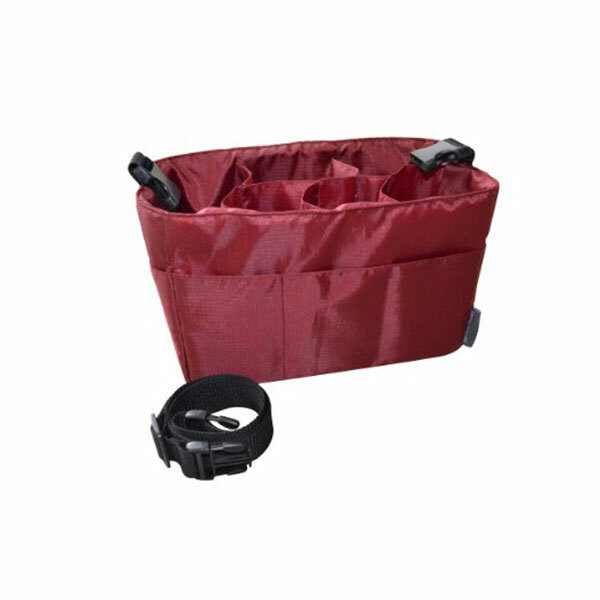 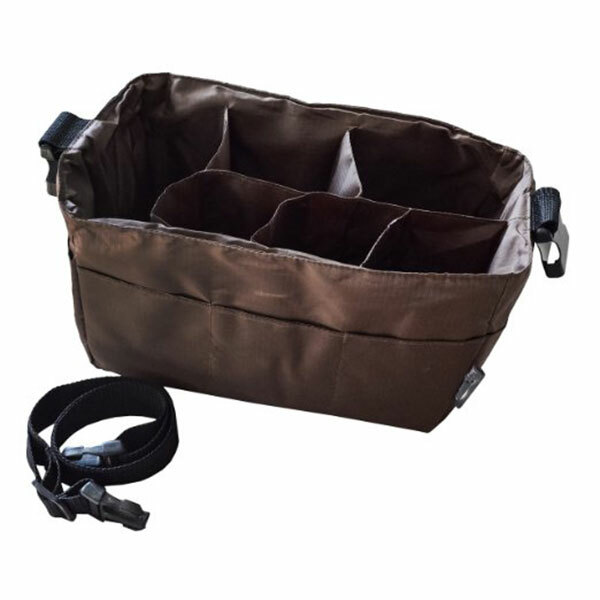 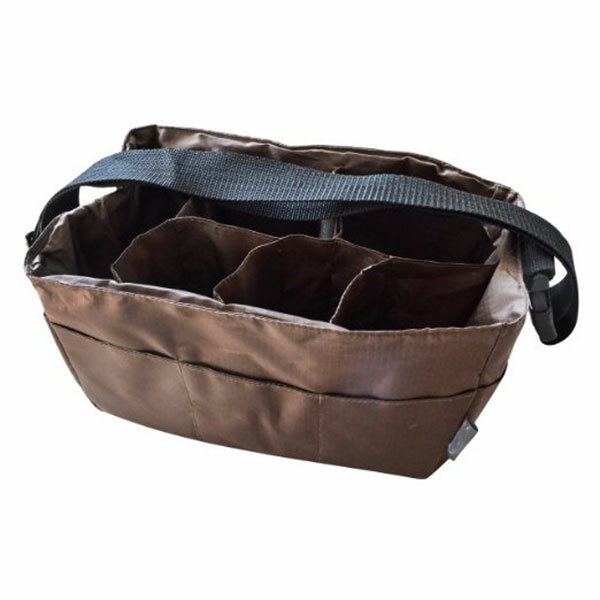 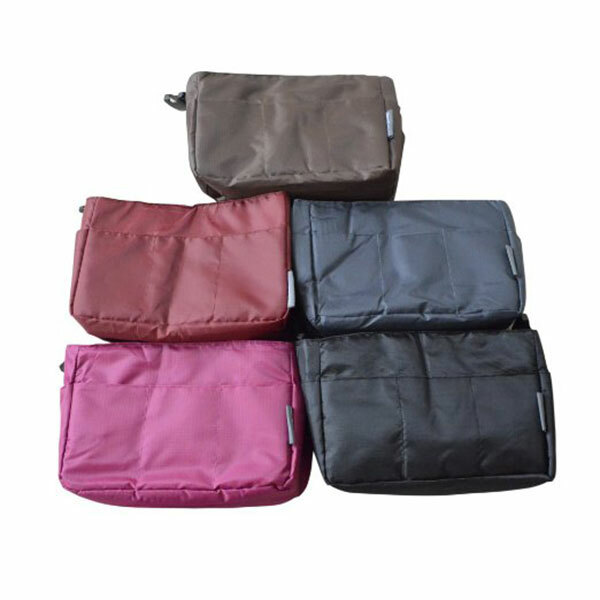 CONVERTS TO SHOULDER BAG OR CAR ORGANIZER - This insert organizer comes with a removable shoulder straps which converts it to shoulder bag or simple car organizer. 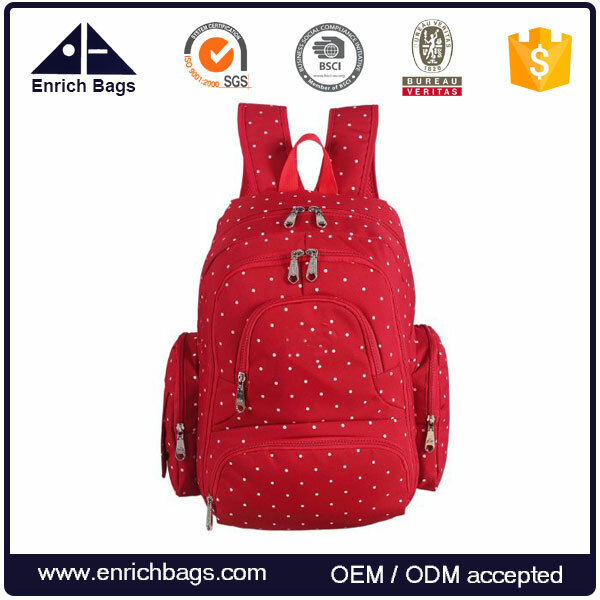 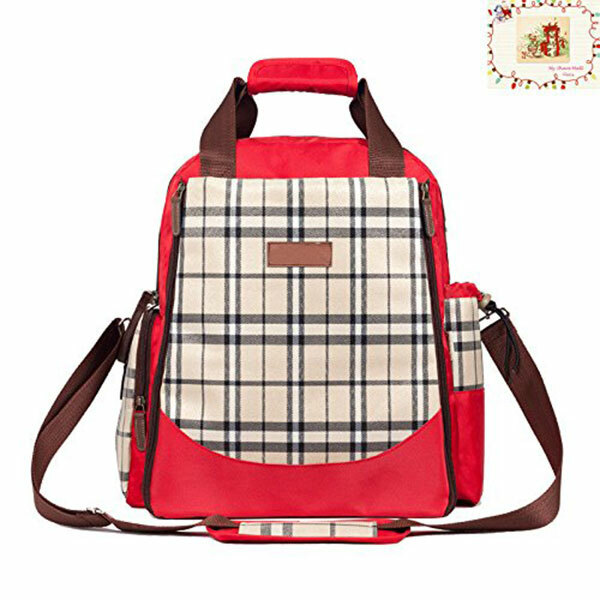 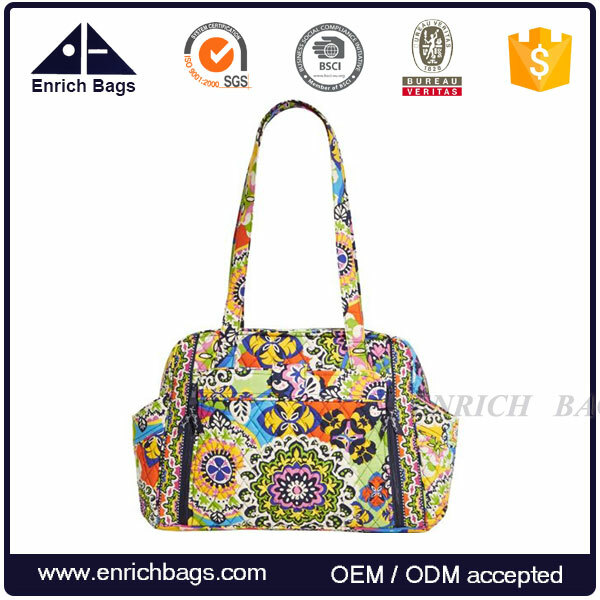 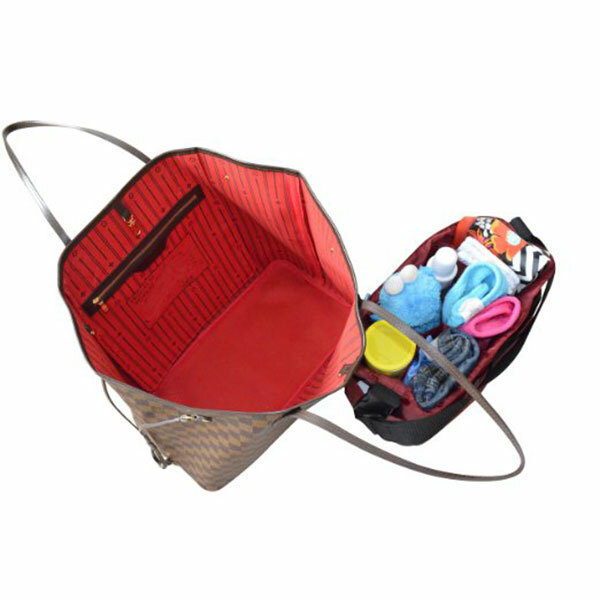 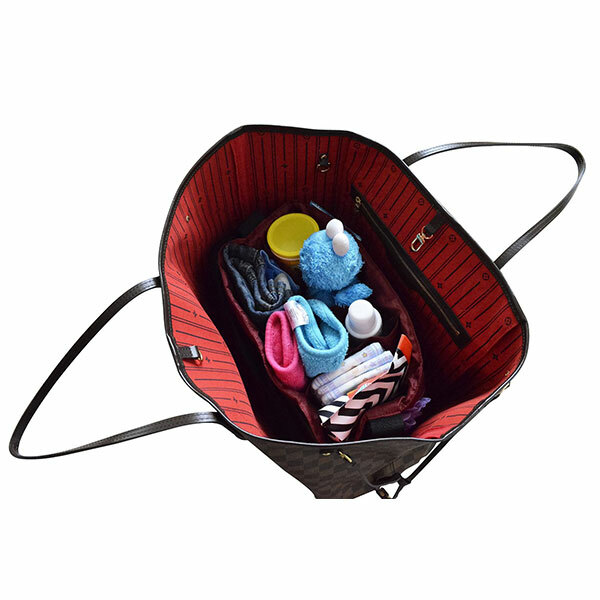 It is ideal for moms to carry it without having to carry a big tote bag if moms would just like to take babies to the park, to stores, to neighbors' house, for a quick trip. 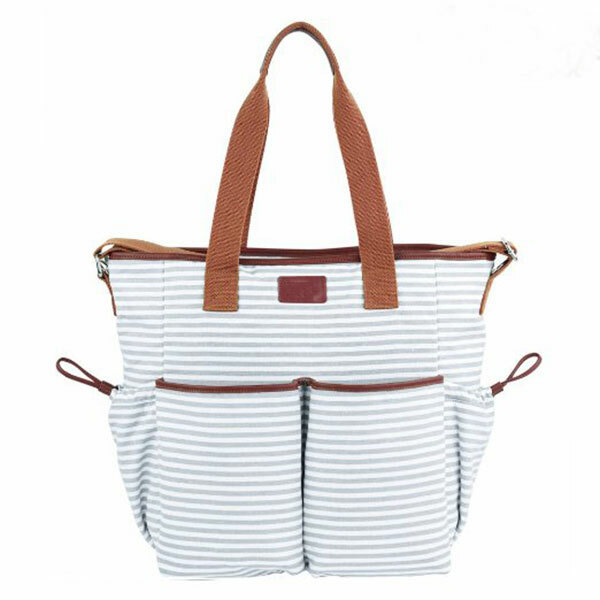 It converts to cross-body bag or should bag so moms can use her hands to carry babies or other stuff. 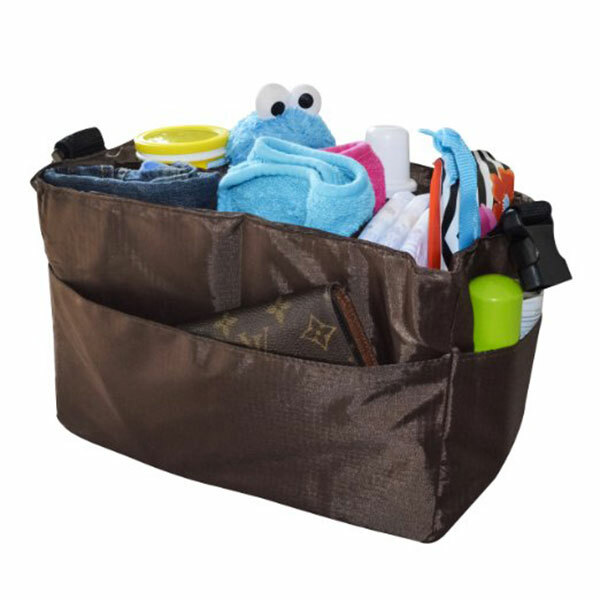 WATERPROOF MATERIAL & BEAUTIFUL COLORS - This insert organizer is made of beautiful waterproof and durable material that can be wiped clean in no time. 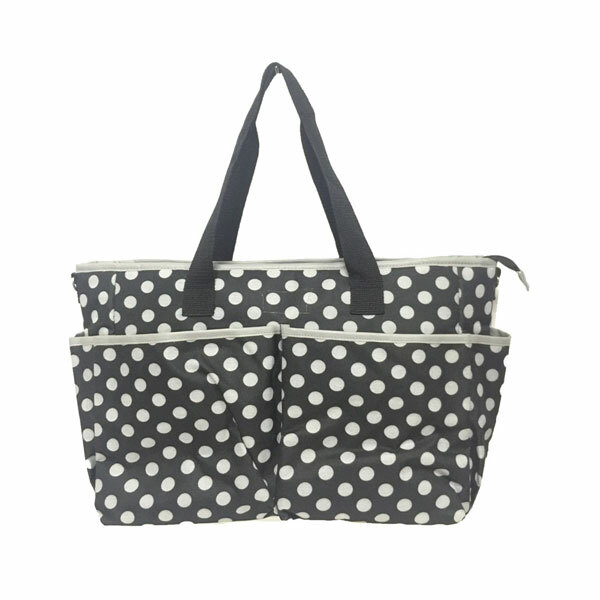 Multi-color options are available - choose among black, dark brown, dark grey and dark pink to match your favorite tote bag! 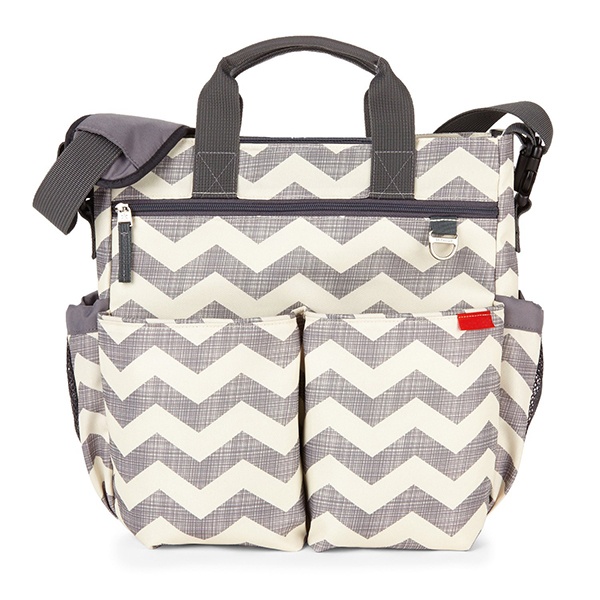 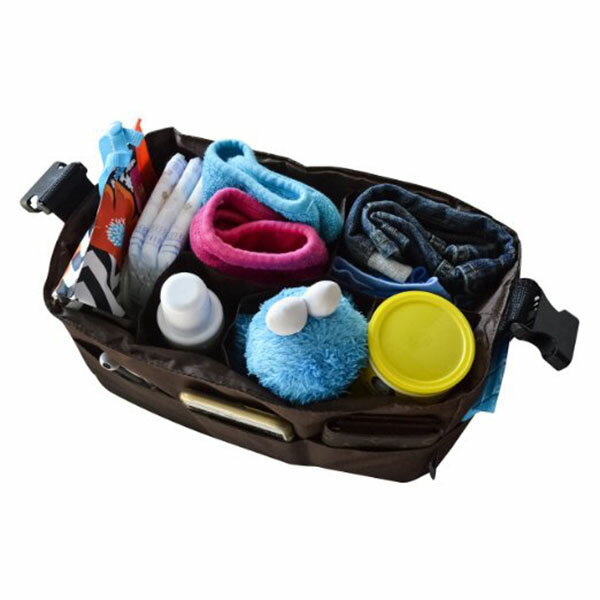 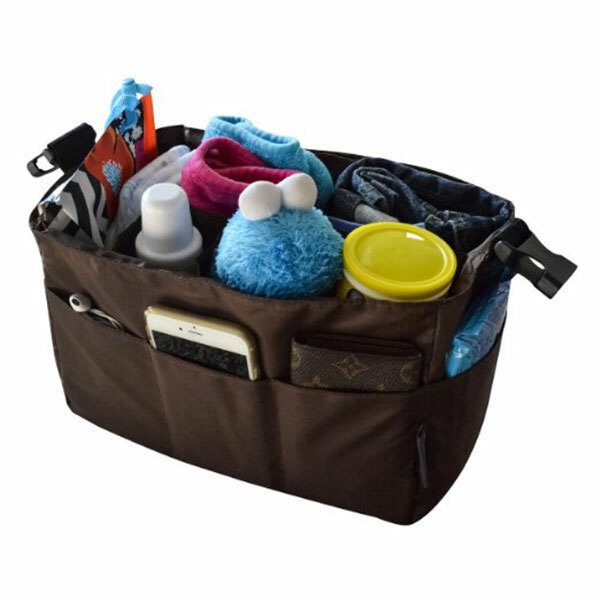 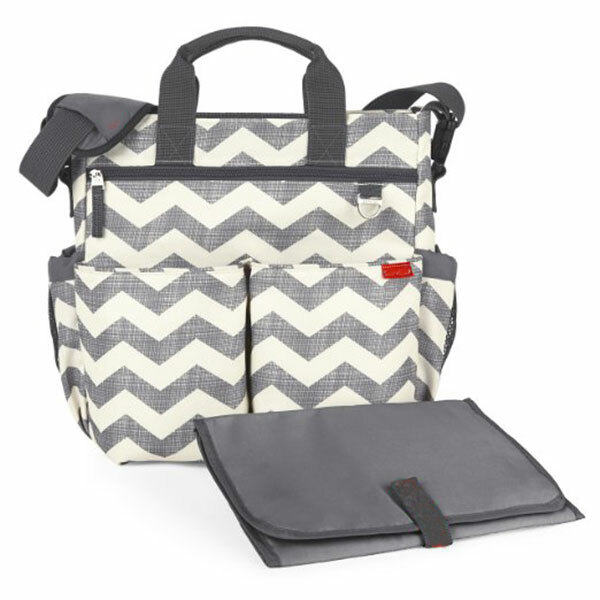 DIMENSION OF THE ORGANIZER - The dimension of this diaper bag insert organizer is 11.8 x 7.9 x 6.3 inches.